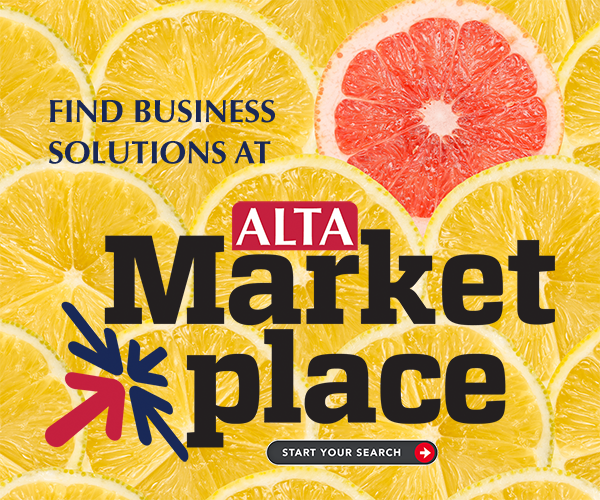 ALTA - Date Your Customer. Don’t Fight Your Competitor. Date Your Customer. Don’t Fight Your Competitor. Innovation sometimes feels like a conundrum: Do you aim for slow, incremental change or radical disruption? Author, podcast host and a senior lecturer at MIT Sloan School of Management, innovation expert David Robertson argues for a third path: a low-risk, high-reward strategy that requires “innovating around the box”—creating microcosms of complementary products that shine an irresistible light on your core product or service. During his Omni Session at ALTA ONE titled “The Power of Little Ideas,” Robertson shared strategies big brands use to grow and evolve—and become iconic. He said the way companies define innovation affects what to look for and what they will achieve. According to Robertson, innovation can happen inside the box, outside the box and around the box. He said companies should focus on making small innovations around current processes to make their central product irresistible. Robertson wrote the book “Brick by Brick,” which is a behind-the-scenes look at the failures and successes of LEGO, and provides a blueprint for cost-effective ways to innovate and lead. Founded in 1932, LEGO’s imaginative approach to play helped it create toys that consistently delighted both kids and parents. In response to the digital revolution in the 1990s that changed the nature of play, LEGO rolled out a strategy to launch many different products and create toys licensed by others (Star Wars and Harry Potter, for example). “LEGO didn’t understand the business it was getting into,” Robertson said. Robertson shared how the LEGO’s leadership team pinpointed the root cause of its problems—an overly aggressive approach to creating distinctive new offerings, with no overall guidance of the innovation process. Robertson said the company then created an innovation management system for consistently inventing new toys. Robertson encouraged attendees to define the product or service to innovate around.